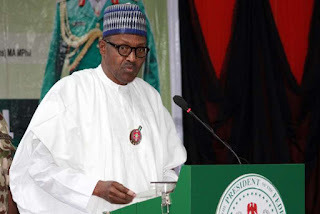 President Muhammadu Buhari has disclosed that a compensation package has been approved for all flood impacted farmers and fishermen in the country. He further said that modalities for the compensation were being worked out before the implementation to commence as soon as possible. In a message to the Farmers’ Day 2018 held, on Saturday, at Yenagoa, Bayelsa State capital and organised by Nigeria AGIP Oil Company for farmers in Rivers, Bayelsa, Delta and Imo states, the President stated that, “Two weeks ago, the National Food Security Council met and we approved a compensation package for all flood impacted farmers and fishermen. “I want to assure all flood affected farmers and fishermen that you will be helped. This government is with you in your time of need. Special Adviser to the President on Media and Publicity, Femi Adesina, in a statement, said President Buhari commended the theme for the Farmers’ Day, which is, Youths, Agents of Agricultural Development in the Niger Delta, noting that farming is the bedrock of the Nigerian economy. “Our future economic prosperity hinges to a large extent on how we modernise and expand our agriculture,” he added. Underscoring the place of youths in developing agriculture, President Buhari said, “Youths account for some 62 percent of our population. This group, full of energy and drive, are the catalyst that will steer Nigeria in the direction that will make us realize our full potential. “For many years, our God-given resources have been abandoned, under-utilized or mismanaged. “This is very apparent in the field of agriculture. In the past three years, we aggressively pushed the agricultural agenda with special emphasis on youths empowerment. “Across many value chains, we are supporting meaningful projects in partnership with private sector players. “We cannot afford to remain a mono-product economy, relying only on oil as our mainstay. “We cannot continue feeding ourselves with imported food when God has blessed us with all the bountiful resources we need to feed ourselves,” he said. Thanking farmers across the country for their resourcefulness, President Buhari also said that the country was on course towards food self-sufficiency, adding that the importation of rice, maize, and other grains had significantly reduced.